UPDATE: GOVERNOR SCOTT VETOES SENATE BILL SB 718. With the Florida House of Representatives passing the Florida Senate’s alimony reform bill, comprehensive alimony reform is one step closer to becoming a reality in Florida. Senate Bill SB 718 convincingly passed the Florida House 85 to 31. Given the strong support of Senate Bill SB 718, it is likely Governor Scott will sign Senate Bill SB 718 into law. Senate Bill SB 718 will have a dramatic impact on Florida’s family law landscape. There will be a wave of alimony modification litigation if Senate Bill SB 718 becomes law. 1. A person paying alimony who is subject to alimony of 15 years or more may file a modification action on or after July 1, 2013. 2. A person paying alimony who is subject to alimony of 8 years or more, but less than 15 years, may file a modification action on or after July 1, 2014. 3. A person paying alimony who is subject to alimony of less than 8 years may file a modification action on or after July 1, 2015. In addition to reforming Florida’s alimony laws, Senate Bill SB 718 makes equal time-sharing (a/k/a custody) between the parents the norm unless there is clear and convincing evidence justifying a departure from equal time-sharing. Personally, I think this portion of Senate Bill SB 718 will create more child custody litigation because their are numerous circumstances where equal time-sharing is not in the best interests of a child, even when both parents are good people. When it is not in the child(ren)’s best to have 50/50 time-sharing with both parents, Senate Bill SB 718 will make it necessary to heavily litigate child custody issues to meet the clear and convincing burden of evidence. For more information on Senate Bill 718’s changes to time-sharing, click on the following link to a blog post discussing the proposed 50/50 time-sharing. 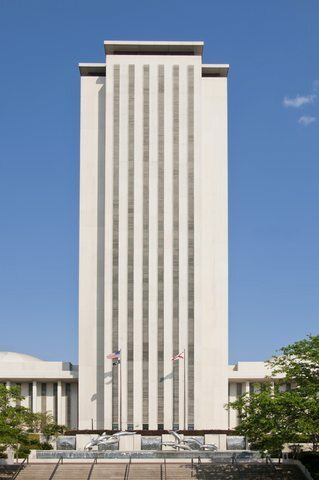 Florida Alimony Reform (FAR no longer exists in it prior form), the group spearheading Florida alimony reform, did an excellent job lobbying the Legislature and getting the message of alimony reform out to the public. It appears that FAR’s hard work is about to pay off. As a family law practitioner, I will be working through the result of the changes for years to come. If you have questions about how Senate Bill SB 718 may impact your family law case or whether modification of alimony may be appropriate, please contact us at 904-339-5298 or click on the contact form above. Your first consultation is free. or longer is long term marriage. Governor Scott should make a decision by May 15, 2013. His office is currently being heavily lobbied by both sides of this issue. I just retired as a school teacher after 35 years of service. I am not eligible for social security only a pension (about 35% of my past income), my husband plans to divorce me as soon as our son graduates from high school- we are on our 18th yr. of marriage. Recently he is insisting that I get a job and that we get a secret divorce (secret as in not tell our only child) for tax purposes. His income is substantial, could there be a hidden agenda here? It’s hard to say. I suggest consulting with a family law attorney (in private) in your area.